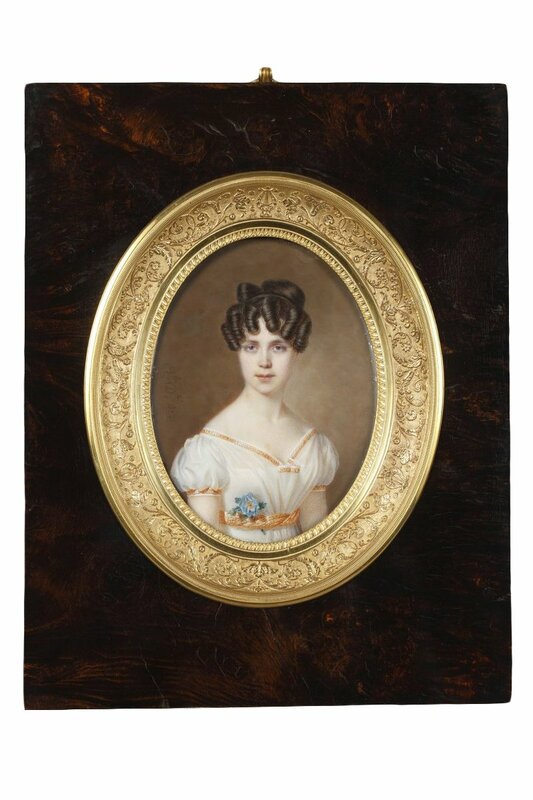 AnticStore > Catalogue > Paintings & Drawings > Portrait Miniature > Restauration - Charles X > 19th century > Large miniature. 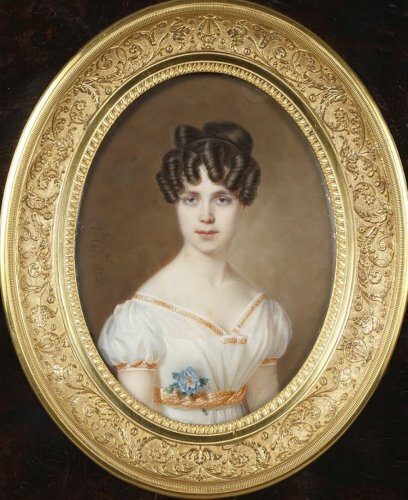 Signed Amélie Daubigny. 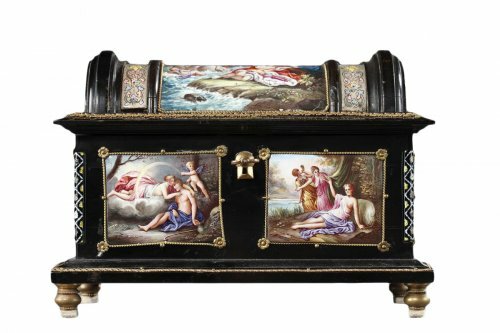 Large miniature. Signed Amélie Daubigny. 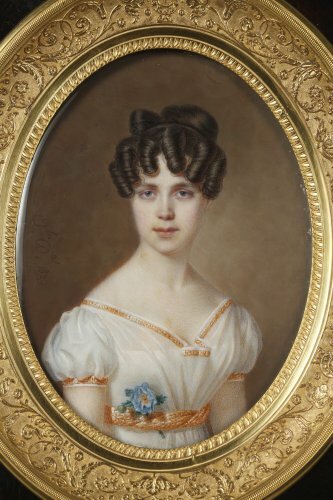 Large oval miniature featuring a young woman in a white robe with gold trim. 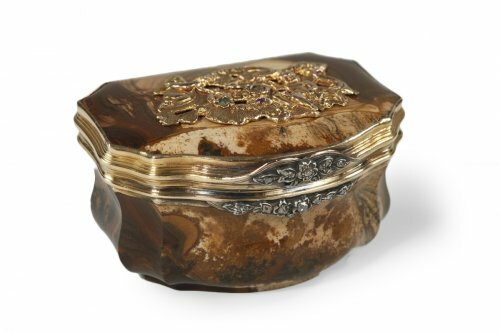 The high waist of the dress is highlighted with a gold belt and is ornamented with a blue anemone flower. The young woman’s face is framed with curls, and she is set on a monochrome, brown background. 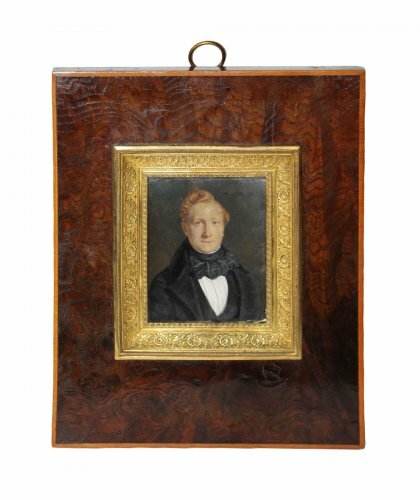 The frame is composed of burr veneer and gilt bronze embellished with arabesques and lyres on a matte background. 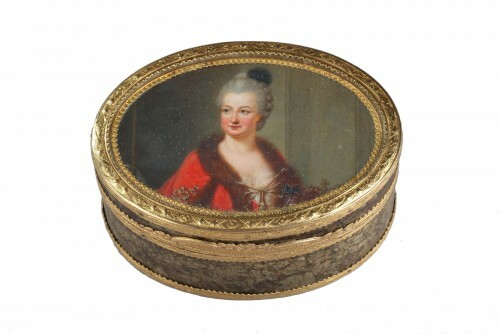 The miniature is protected by a domed glass. Miniature signed: Alie Dtel 1823. 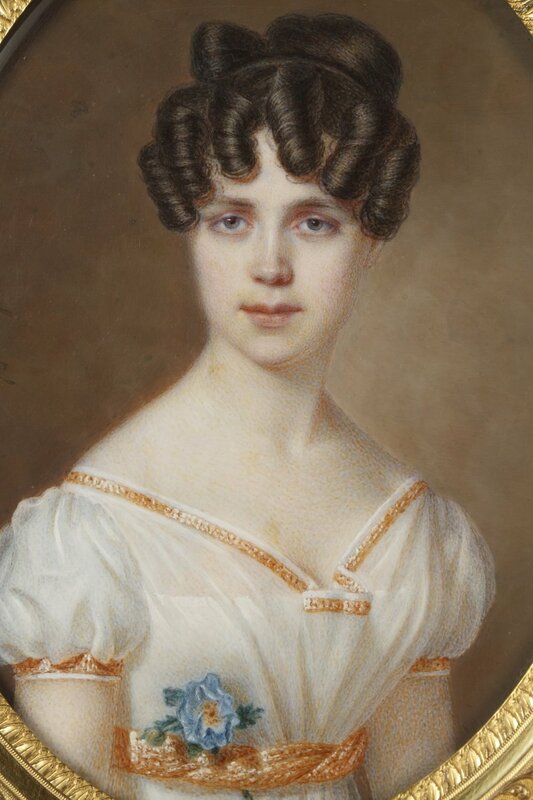 Amélie Daubigny née D’autel (1793 -1861) was a student of Pierre Granger who was represented at the Paris Salon from 1831-1844 and received a medal at her first representation. Several of her miniatures are currently conserved in museums in France and around the world, including the Dobrée Museum in Nantes, the Miniature Museum in Montelimar, and the Saint Louis Art Museum.